Oh yes. 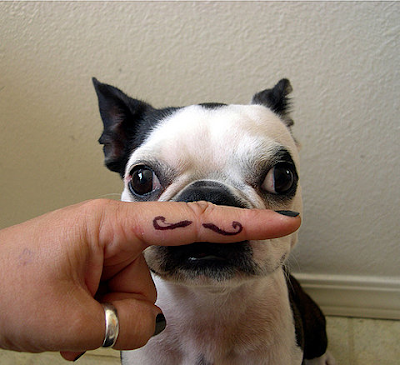 That dog suits that moustache. hahaha! i heart this photo. Ah, yes. I knew I remembered seeing a picture of her. Sooooo adorable! ok, so I see this is not frances. I need to see frances!